Set to be featured in the 2018 film ‘The Richness of the Journey’ alongside Jack Canfield, Dr.John DeMartini and Michael Beckwith (“The Secret”), produced by John Spender, Rhiannon Rees is renowned as one of the most refined multi-spectrum, self-development experts in the world. As author of the best-selling book, “How to Climb Mount Everest in Sandals – The Courage to Live an Ordinary Life”, followed by 2015’s “Life is a Choice and the Choice is Yours’, Rhiannon’s international reputation is one of servicing the survival needs of the most vulnerable as vigorously as sophisticating the success of the elite. Whilst her client base spans X-Files, Grey’s Anatomy and Private Practice cast members, the Spice Girls, NRL Roosters as well as the 2014 winners of ABC’s – “The Conscious Farmer”, Rhiannon’s drive is to draw out the full potential in all people. With a 30% gratuitous client base, Rhiannon focuses on single parents that could never afford coaching, with Rhiannon’s own past remaining a driving passion in getting clients off the street, into jobs, accommodation and reuniting many with children that had previously been in external care. Nominated for Telstra’s Business Woman of the Year, a finalist in the Asia Pacific Coach of the Year 2011 and winner of the Global “Action Man” award in Barcelona 2010. Rhiannon was a nominee for Entrepreneur of the Year in 2010 and Runner-up in NSW “Franchise Woman of the Year”. 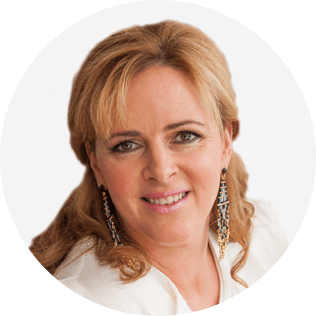 Rhiannon’s ethos of financial success entwined with ethical contribution has seen her featured in countless interviews for TV, Radio and print in Australia and the US. Most recently she began the very first Apprenticeship programme for Coaches through www.limitlesscoaching.life called “The Conscious Coaching Collective”. Whilst Rhiannon is in the business of growing champions, her training base starts with her own team, extends out to clients, customers and other corporations and entities interested in combining business success with conscious self-development and ethical action. Currently working on the build of a school and hospital in Gabon – one of the poorest countries in West Africa – Rhiannon is not just about putting runs on her own financial scoreboard, she is about giving as good as she gets and coaching others to this same mindset of multi-spectrum success. In the same way that she did herself, Rhiannon supports others to question everything they believe beyond their control. With her trademark laugh – and if necessary her trademark kick in the tail – Rhiannon uplifts and empowers people the world over to dive unashamedly into their own muck and see their potential to turn villages into conscious empires. How could you impact your own life and the live’s of your clients if you knew how to harness the 93% of communication that is not related to the spoken word. We are talking about gestures, body language, tone, breath and even when you get really good.. Facial tics. 1. 12 Months worth of sales in just 6 weeks. 2. From Losing $750k overnight with $6 mill worth of debt to Financial freedom and $10 mill in the bank within 3 years. 3. Adding 3 Million dollars to the bottom line in just 3 months. In our short session, I will give you some tips, to get you started in this fascinating art and science. It takes years to master. You can also begin to achieve results once you are aware of this very powerful technique. I have built my entire coaching business around this and it is not only effortless now, it is so much fun. If you LOVE human behaviour and like to know “HOW” someone ticks then this is a presentation you will not want to miss. By watching and observing behaviour, (gestures, tone, voice, breath) and becoming a “Human behaviour detective” whilst also finding a common “thread” through a client’s “story” or “issue” will give you a skill set second to none. 1. To learn to listen to the Space between the words. 3. To address each issue sequentially and deal with the one communication issue on hand until it is resolved.